During my two-week fieldwork trip to Peru this summer, I visited two of my PhD study areas, the Ancash District and the Chillón Valley. The Chillón Valley is home to one of the three main rivers that provide water for Lima and activities in this valley can have major effects on Lima’s water supply. Ancash on the other hand is home to two of the main mountain ranges in Peru, the Cordillera Negra and the Cordillera Blanca, so called because the former is unglaciated whilst the latter is formed of a number of glaciated peaks. It is thought that the Cordillera Blanca may one day look like the Cordillera Negra if glacial retreat continues at its current rate; this contrast between the two was interesting to see as the absence/presence of glaciers also affects the availability of water for irrigation and farming. Whilst in Ancash we held a community workshop with representative from the local communities around the village of Pamporamas, in the Cordillera Negra, and a representative from a local NGO focused on rural development. This workshop discussed the issues surrounding water availability, and changes in this availability, as well as agricultural productivity within the highly sensitive Cordillera Negra. Following our workshop we visited a number of sites within the Cordillera Blanca, this involved visiting farming communities and seeing how agriculture is practiced today but also saw evidence for past agricultural practices in the form of relic terraces and field systems which would have been in cultivation during pre-Columbian times. We also interviewed local farmers whilst in the field to discuss the present day issues effecting agriculture productivity and sustainability within the study areas. This was an excellent opportunity to record local oral histories about changes in farming practices within living memory, to go alongside the deeper history perspective provided by the sediment core records we also collected. 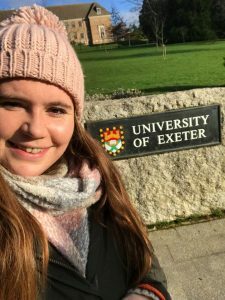 Last month I was lucky enough to undertake a phytolith training placement at the University of Exeter in the Department of Archaeology, working with my second PhD supervisor, Professor Jose Iriarte, and his project team, PAST (Pre-Columbian Amazonian Scale Transformations). During my four-week stay in Exeter, I processed and extracted phytoliths from a soil profile in the Upper Tapajos Basin of the Amazon, associated with a ditch enclosure. Once extracted, I then analysed and got training in the identification of the phytoliths. The phytolith extraction process can be quite lengthy and so it was great to have a lot of time to work through each of the stages properly. I had previously done some phytolith extractions for my master’s dissertation, however, I wanted to learn the methodology most suited to the tropics and South American samples.